Mobile Phones.. Which one to buy! It is one of the most difficult question these days as we have many brands with so many models available in market for range as low as Rs. 3000 ( a decent, low specification android phone) to anything you can afford for. Today i am covering best phone available worth buying under Rs. 10,000. First thing First! Search for all the mobile phones available under 10,000. I would prefer going to Flipkart as all the recent and up coming models of mobile phones are listed on Flipkart. This step is just to find out which mobile to buy, i am not all recommending to buy from Flipkart without comparing to other websites. After applying all required filters, then comes option of brand. Presently there are two types of phone available. 1. Branded Phones :- Sony, Samsung, Nokia, HTC, Apple, LG, Motorola, etc..
2. Non-Branded Phones :- Micromax, XOLO, Xiaomi, Videocon, Lava, intex, etc.. 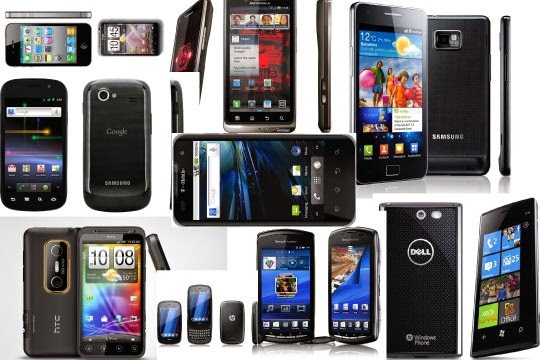 The above classification of branded and non branded is not that branded ones are good and non branded ones are bad, it's just that the same specification phone you will get at half price if its a Non-branded one when compared to a phone with similar or sometimes even lesser specification of Branded phone segment. So basically it's brand value, style quotient that which brand of cell phone do you carry. Hope up till now you must have decided the OS, Specific Features and whether you wish to go for branded or non-branded segment of phones. All set now comes the specification part, once you have applied specific filter you will have around 10-12 phones which will be there in the list, among those choose best in design, best in specification and then finalize one or two which suits all your requirements. Now check for the reviews of the phone from various Tech Portals like Gadgets NDTV, Techradar, Phone Arena and ofcourse your best friend Google. Also check the reviews on E-commerce portals like Flipkart, Amazon, Snapdeal, etc. Also it doesn't assure you that since the phone is from branded section it will be a superb phone. Always check two or three reviews sites and then only decide upon going and finalizing the phone. Although the above choice of phone is totally personal as it suits my requirement and specification are max what you can get at this price. If you are interested in some other phone/model you can visit here to buy it. Don't forget to search for discount coupons online for respective e-commerce portal. Generally you won't find any discount coupons for Flipkart, but you can get very good discount copouns for Amazon & Snapdeal. First time purchasing online?? Have any doubts on deciding which will be the right product for you with respect to your requirement and budget, any doubts clarification or help regarding deals or products feel free to reach me. I'll definitely try to help you get the best product with best deal. Do comment below and also suggest best according to you? 14 comments to '' Best Deal for Mobile's under 10,000 - First Timers Guide "
Its the best site for offers deals in mobiles. best deal under 10000 mobile. grab the deal fast.. Any Food and Drink deal millionuser is the best site to deal with.. Presently Redmi 4 is the best mobile phone under Rs 10000 and it is available on Amazon India site . With Amazon Cashback Deals additional discount/cashback can be availed on this mobile . Learn how to hack someones facebook here, my friends!